SUP-Pup course included this year! 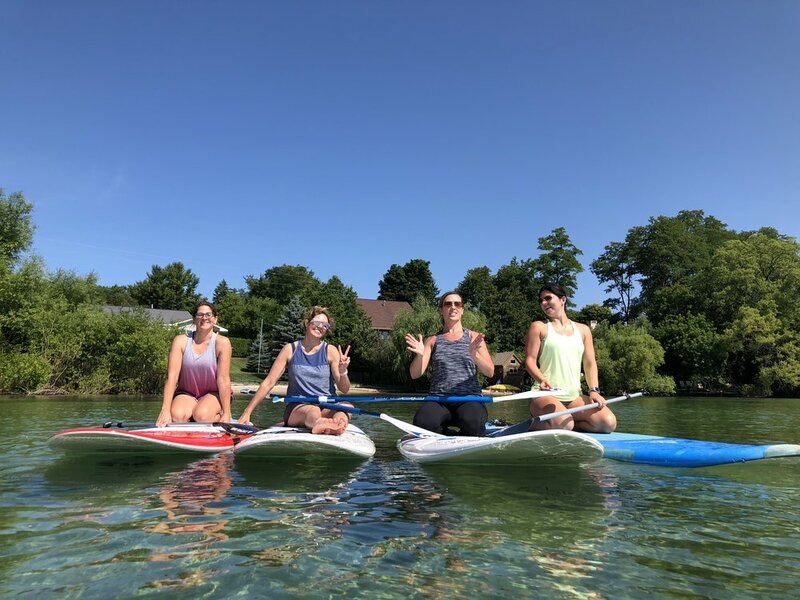 This course is taught by Mariann Kirch Yoga teacher 500 E-RYT She is also a certified lifeguard and holds a PSUPA (Professional Stand up Paddle Association) certified Instructor. Mariann is the the only one in Leelanau County the holds this level of certification. She as studied with Rob Casey in Seattle Washington. One of the leading authority on SUP and SUP water safety in the world. This course is designed to work with first-time paddle boarder or experienced paddler. You will come away learning basic overview & terminology, Paddling Technique. Insurance/liability information, Basic yoga asanas, proper alignment, breath work and exploring your physical ability. You will also receive your CPR and AED Certification. We will practice water safety and discuss weather issues. You will receive information on how the US Coast Guard and the State of Michigan views Stand-Up Paddleboarding (SUP) on the great lakes and inland lakes. You will receive all of the requirements and regulations that apply to SUP. You will come away with a full understanding of the different paddle boards and how they work, as well as marketing and starting a business. You will receive a workbook and copies of release and liability form. Special pricing on rooms if you choose to stay at The Leelanau House. Pure Prana Yoga Center for Wellbeing.